The recruitment dynamics have seen tremendous evolution over the years. With the introduction of newer recruitment options such as resource process outsourcing and vendor management system; conventional recruitment methods have gradually taken a backseat. But there are still many organizations out there who are unsure about switching to the latest hiring methods. In this article, we will be comparing VMS recruitment and conventional recruitment, and how they are different from each other. Vendor Management System (VMS) recruitment is software or a web-based application that allows organizations to manage their recruitment requirements online. VMS simplifies the entire hiring process right from the requirement collection phase. Companies can add their requirements to the tool, and from their, the requirements get forwarded directly to the staffing agencies. A VMS system also automates interview scheduling, job offers and billing on boarding and off boarding activities. Hence it becomes much easier to hire the temporary, contractual as well as permanent labor. Organizations can also track the staffing agencie's success rates, the time taken by them to find the right candidates, the number of hired candidates, rejected candidates, and the number of candidates who refused the job offer. All these tasks when done manually become too cumber some to manage and consume a lot of time. But with a cloud-based VMS system, it not only becomes simple to overlook the entire hiring process but it also lets organizations save their precious time. With conventional recruitment, everything is handled manually - From requirement analysis to posting job advertisements, candidate sourcing and interview scheduling. The hiring company identifies available vacancies, permanent as well as temporary openings, and communicates them to the staffing agencies. 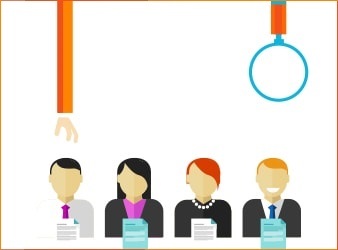 Staffing agencies start the candidate sourcing process upon receiving the requirements. Once the sourcing is done, the agency then forwards all the suitable resumes to the hiring company’s managers and assist them in conducting interviews. After the candidate is successfully selected, hiring company pays the staffing agency based on the mutually decided fee. If the hiring company decides to handle the process itself, then it would take even more time as each of these recruitment tasks would have to be managed by company’s internal team. Apart from being a time-consuming process, this method involves several drawbacks too such as increased cost and lack of any tool for tracking the staffing agencies’ output. Moreover, the organization is at a loss as they are unable to hire the talent within their desired timeline. But with VMS, organizations can easily keep a tab on all such things. The analysis and reporting also become significantly easier through automated processes. In fact, the entire process becomes much more transparent as everything is sorted and organized in one place. As we figured out, the use of VMS makes the management of otherwise complicated recruitment process relatively easier, especially in the case of temporary and contractual labor. In fact, more organizations have shifted bases to vendor management system for the benefits it offers in terms of cost, efficiency and transparency. However, the conventional recruitment has not yet completely lost its ground as the recruitment process will hardly get rid of the human touch to go totally automated.